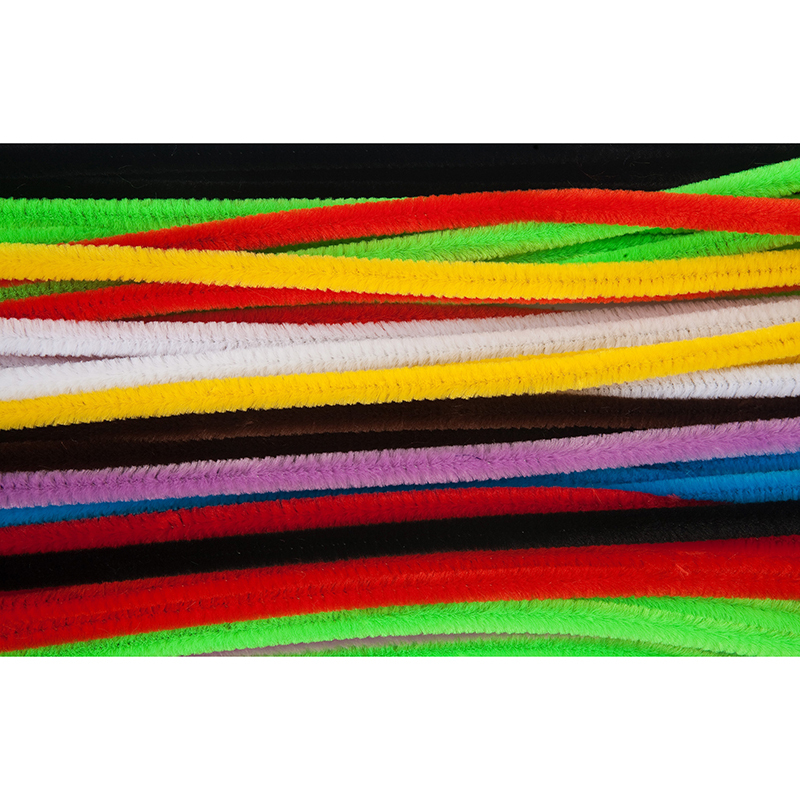 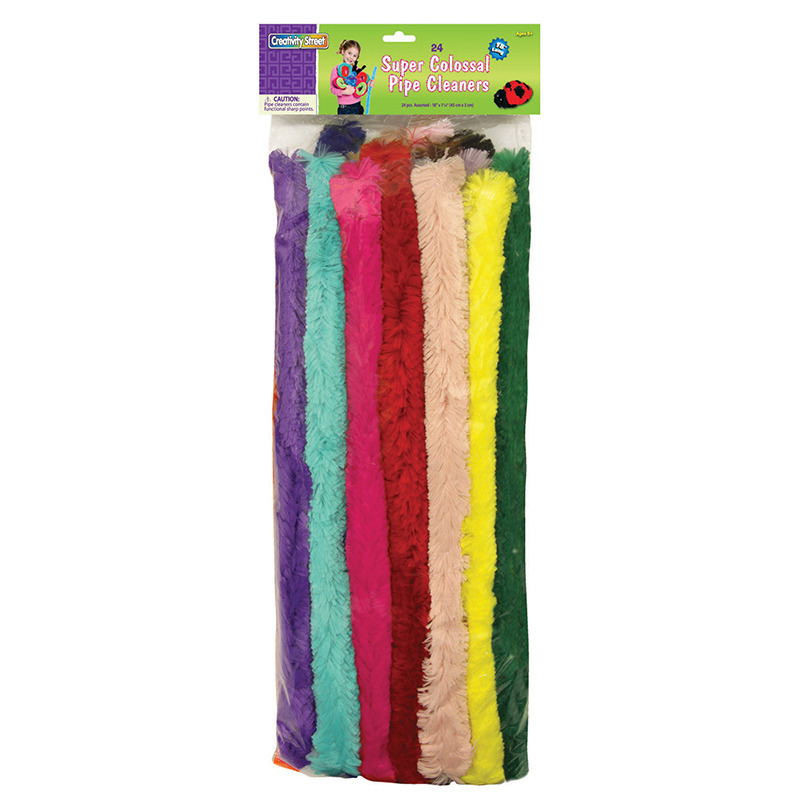 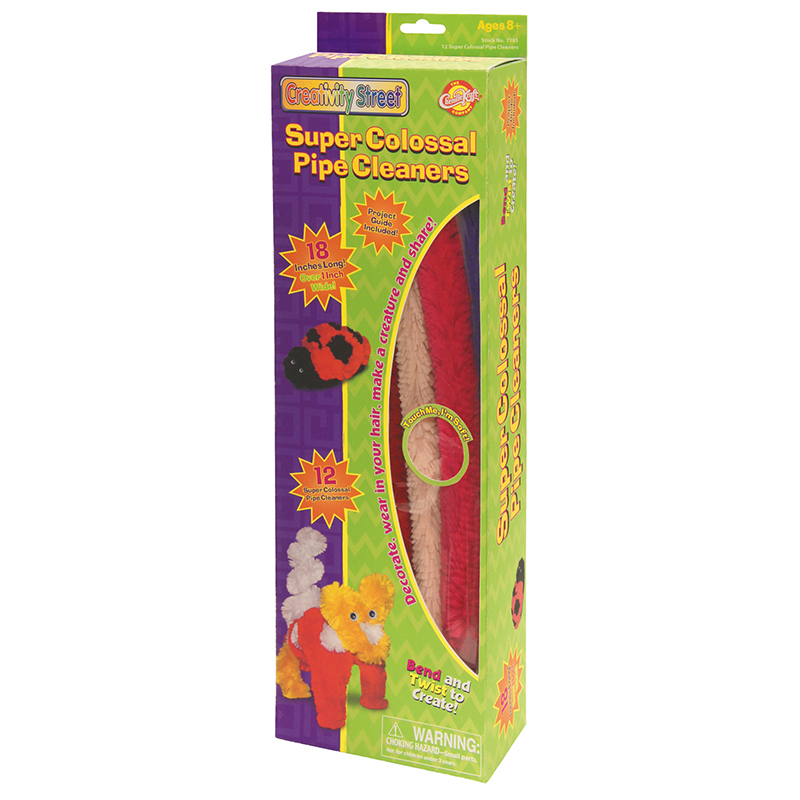 The Super Colossal Pipe Cleaners can be found in our Chenille Stems product category within the Arts & Crafts. 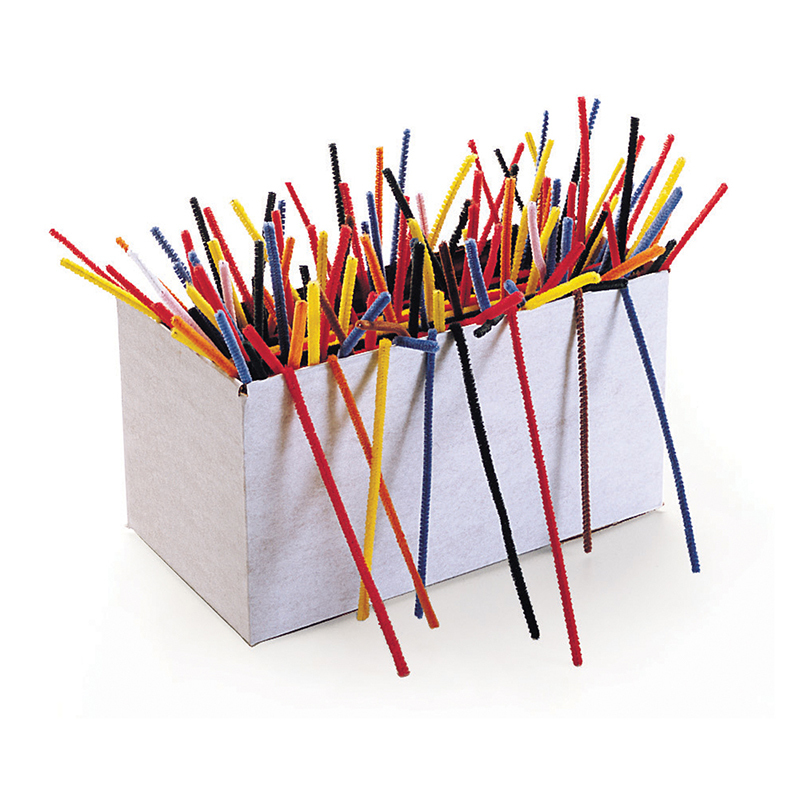 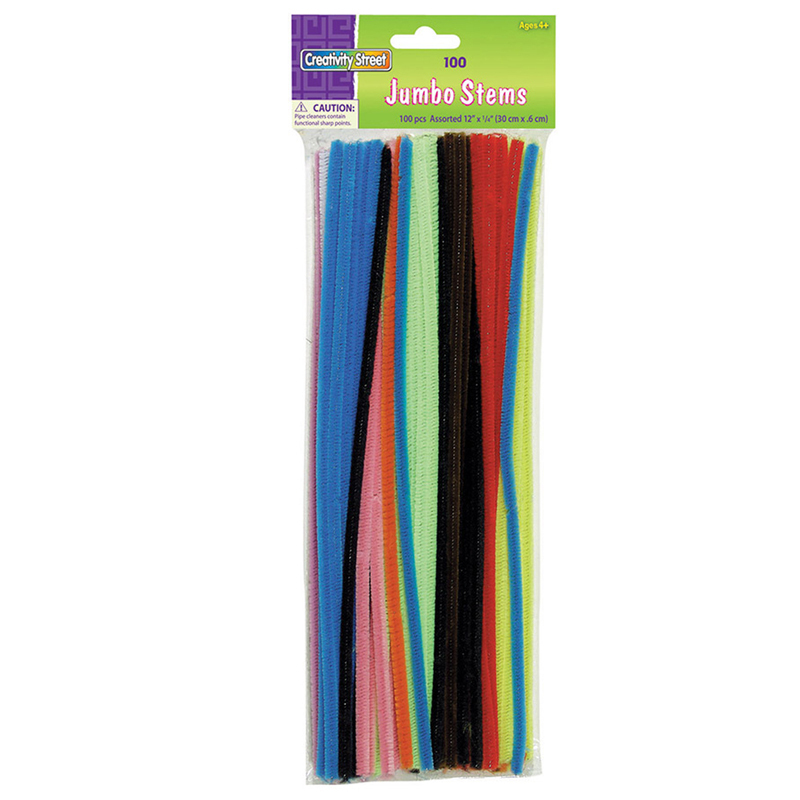 Pack of 100 jumbo stems in assorted colors. 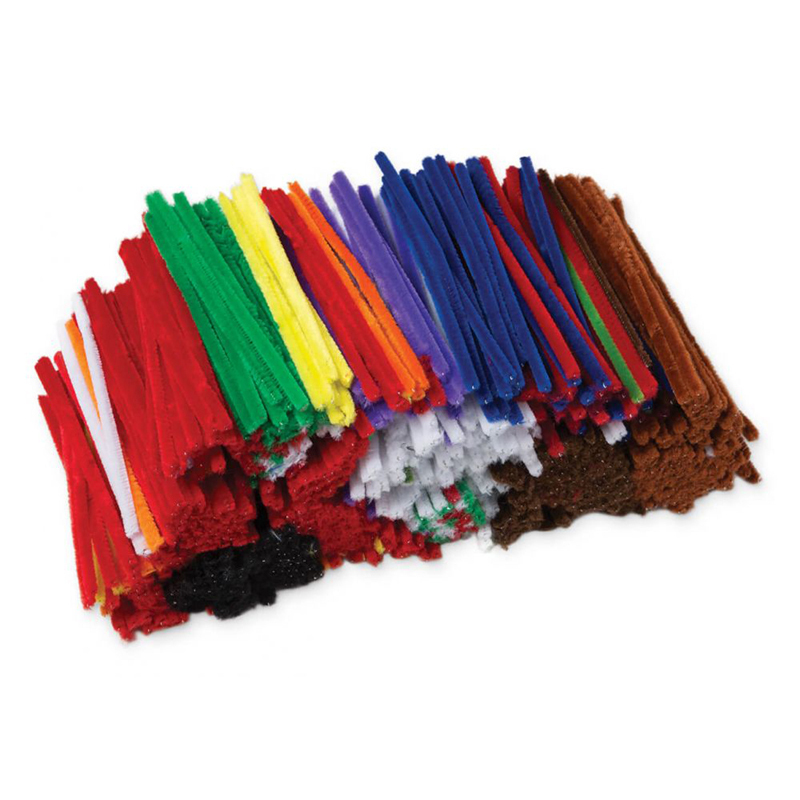 Each piece is 6mm x 12" and packaged in poly bag with header.